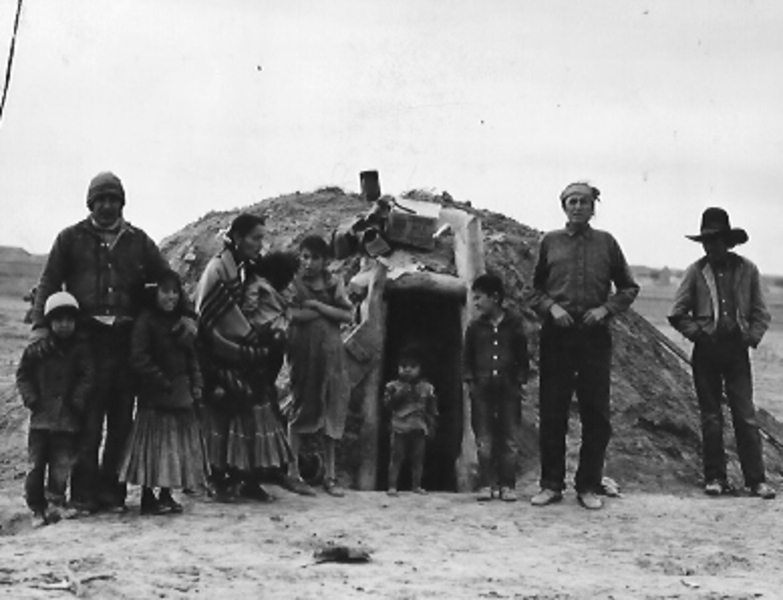 Extended Navajo family in front of traditional hogan, ca.1930? This photograph may not be reproduced. Contact the Navajo Nation Museum Archives.